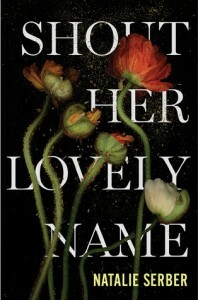 West Metro Mommy Reads: Book Review: "Shout Her Lovely Name"
Book Review: "Shout Her Lovely Name"
In Shout Her Lovely Name, Natalie Serber presents us with a short story collection focused on mother's and daughters. Many of the stories center on single mother Ruby and her daughter Nora, but there are others as well--a mother dealing with daughter's eating disorder, a young mother traveling across country to meet her much older husband's family, a mother fearing that she has lost her own identity while raising her two teenaged children. I'm not normally a fan of short story collections. However, if more were like Shout Her Lovely Name, I could easily be converted! I liked that this book had a central theme--mothers and daughters--and then looked at it from different angles. Having a mother and being the mother to a daughter, this theme appealed to me. Some may find it strange to have a series of stories based on the same characters (Ruby and Nora), with unrelated stories interspersed. I, however, really liked this. Perhaps it is because I prefer novels, but I really felt that it gave the collection a sense of continuity. I also enjoyed Serber's writing style--it was dryly humorous without being coy and intelligent without being overly academic. All in all, I enjoyed this collection and would be interested in reading more of Serber's work (and, as she is a local writer in my neck of the woods, I am hoping to attend one of her events as well). If you enjoy short stories--or even if you don't--I recommend giving this book a try. June 28 - Book Him Danno! I don't generally read short stories either but it is collections like this that make me realize that I am really missing out!